In Part 4, you will learn how to build traffic to your blog posts with Twitter. In Part 1 of the series, I encouraged you to determined if you really had the motivation and passion to start a Youth Sports Blog. In Part 2, you learned how to set up a blog and perhaps you started to write. In Part 3, you learned how to build credibility and organic traffic (Traffic via search and referrals). Follow the steps below and have patience it takes time and effort to build a following. In Part 3, we talked about joining the conversation on blogs to increase your authority and credibility about your chosen subject. Twitter is another great place to hold a conversation about your chosen topic and as a bonus Twitter can drive traffic to your blog. I would recommend that you set up a Twitter account in association with your blog. My twitter account is www.twitter.com/Stats_Dad. 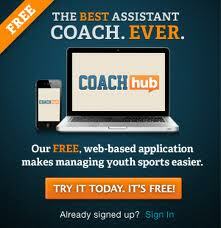 I use twitter to curate, disseminate and converse about youth sports subjects. It's so easy to set up a Twitter account. Just go to Twitter.com and follow the very easy instructions. You can be conversing about your topic in a matter of minutes. Of course, you need people to converse with and you need followers to see the influential thoughts you have about your topic. So, the first thing you need to do is find people to follow. A simple search on Twitter will uncover a long list of potential people to follow. First, I searched for coaches. After weeding out life coaches, I started following coaches of youth sports who had large followings (500+). I also started following moms and dads with kids, the target audience for my youth sports content. After I found people of interest though my search, I just started clicking the Follow button. You will immediately start to see a stream of tweets from the people you chose to follow. The next thing that you need to do is join the conversation. When someone you follow says something interesting or provocative click on the rely link and voice your opinion. If you do not have anything to add to the conversation, but like the content, you can simply retweet (RT) the message by clicking on the Retweet link. This rebroadcasts the tweet to your followers. (Note: only followers see tweets) When you RT, the original writer of the post will be notified in his or her tweet stream and perhaps via email (You can set your preferences to notify you of any activity relating to you via email. I do not do this because it will take over your email. Simply look at the activity on Twitter). Note: People love to be retweeted because it validates the sent message. RTs tell the twitter world that the writer contributed something worthwhile. Note: In the beginning, I would recommend that you keep your replies positive and supportive. Soon, you will start to notice that the people you are following and conversing with are following you. (It is somewhat common courtesy to follow those who follow you unless you are a celeb.) Your followers will likely start reading and replying to your Tweets. When they reply to your tweets they expose their followers to your conversation. So make your tweets worth reading and sharing and soon followers of the people you follow will start following you. It is a snowball effect. If you want to start a new conversation with someone on Twitter simply post a message on your Twitter page with the twitter handle of the person you want to converse with - For example, if you wanted to send me a message that can be seen publicly then tweet @stats_dad I really liked your post on How to Start Youth Sports Blog. The @Stats_Dad is like my address on a letter you are sending. I will immediately see this in my activity column and most likely respond to you. Note: You can also send me a private message or direct message (DM) via twitter. Click on my profile and if a little envelope icon is there send a message. I need to be following you for you to send me a DM. Note, you can Tweet 135 character text messages. You can also include links to pictures, videos or websites as long as the text and the links combined are less than 136 characters. 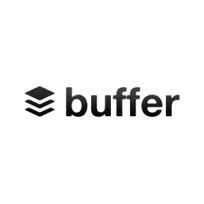 Advice: Tweet links to each one of your blog posts. Before long you will have hundreds maybe thousands of people that you follow and who follow you. I have assembled 1000 followers in 10 months. When you follow a lot of people you will notice that you cannot keep up. You will want to create lists of your favorites. I have a Dads list and a Youth Sports Coaches List. This is easy to do. Click on the person that you want to follow or are following - look for an icon of a head / bust. Click on that and then click on add to list. Advice: It is a good idea to bond with a person who has a strong twitter following. Intrigue them and they will likely drive traffic to your Twitter page. 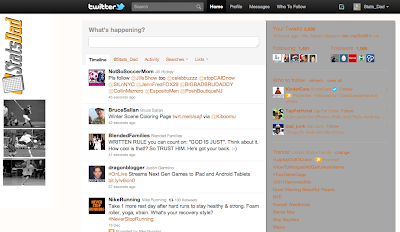 Note: You can and should customize your Twitter page to match your website. You can do this through settings and the design button. Use Trial and error to get the look you want - you can always reset it. 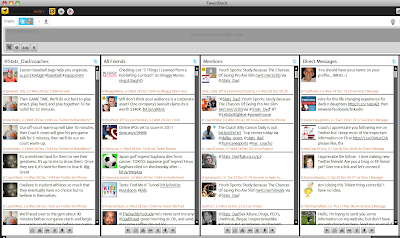 There are free Twitter platforms that can help you organize and send Tweets in one view. 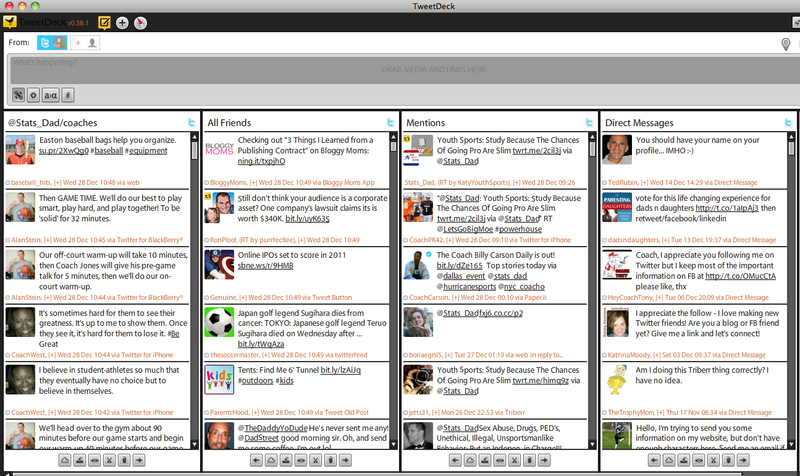 I use TweetDeck to organize my Twitter streams - The first column is my Youth Sports Coaches list. This column has the most relevant information that I might want to explore and respond to. The second column consists of tweets from all of the 1,500 people I follow. It is quite cumbersome. The 3rd column showcases all the tweets that @Stats_Dad is mentioned in and the 4th column shows all direct private messages (DMs) to me. Again, this one view layout makes participating on twitter easier. These platforms also make it easy to add videos and pictures and shorten URL links so that you can maximize your 135 character limit. You can also schedule Tweets using these platforms. Sending out a tweet at 2AM will not have the same impact as one sent at 12N unless you have an international following. Twitter can do all of the above. These platforms just make it easier to see because of the one view layout. A personal note to my kids. Please study in school because the chances of going pro in your chosen sport are slim. Go after it if that is your passion, but study, study, study so you have something else to fall back on. 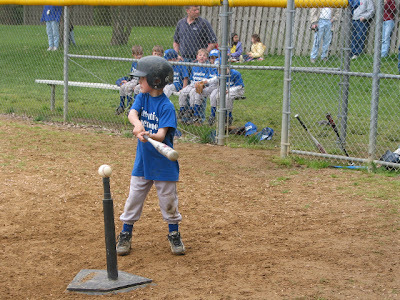 Let's face it, there are lots of Crazy Youth Sports Parents who have their sights set on a pro contract for their kids. They spend lots of money, time and emotion to prepare their kids for stardom. They over-manage their kid's youth sports career to the point of insanity. They do this because there is an outside chance that their kid might be the next Ken Griffey Jr or Drew Brees or Dewayne Wade. The players that make it to the pros are special, one in a million special and it is that slim chance that makes youth sports parents dumb. A pro contract is a very remote possibility for all young athletes, even the ones who excel in youth sports and in high school. And I am going to prove it to you in this post. Moeller High School is known for developing men of character, providing a highly regarded college prep education and dominating in sports. Consider the following regarding their sports program. The Moeller Baseball program is also one of the best in the state every year. They have had 43 winning seasons, including 26 twenty-win seasons. They have won 5 Ohio State Championships ('72,'89, '93, '04, '09). They have also won the Cincinnati Greater Catholic League Championship 24 times making them the best baseball team in the city almost every couple of years. To achieve this type of success you need great baseball players. Making the varsity team is not easy and getting on the field to contribute is even harder. I hope that you would agree with me that Moeller baseball players are elite HS players. The Moeller Basketball team is one of the best in the state every year too. They have won 3 Ohio State Championships ('99, '03 '07). They have also won the Cincinnati Greater Catholic League Championship 15 times making them the best basketball team in the city of Cincinnati every three of years or so. They have produced 4 Ohio Players of the Year or one every 10 years. To achieve this type of success you need great basketball players. One could argue based on the smaller size of the roster that it is even harder to make the varsity team basketball team compared to baseball. So I hope that you would agree that Moeller basketball players are elite HS players. The Moeller Football team which was once coached by the legendary Jerry Faust is special too. The school has complied an overall record of 391-87-2 in its illustrious history. The program has garnered 5 National Championships and 7 Ohio State Championships while producing 87 All-Ohio players and 35 All-American players. According to the Moeller website, 389 players earned college scholarships. The Moeller football program does not cut players, so any Moeller student who wants to play football can participate. But the ones who start and have contributed to the amazing record of success are among the best. So again, I would hope you would agree that Moeller football players are elite HS players. OK - I think that I have established that Moeller is a sports powerhouse so one would think that many professional athletes emerge from this program. Let's look at the numbers. Youth Sports Costs: Investment or Gift? Watch the video below about angry youth sports parents. The video suggests that many youth sports parents view time and resources spent on their kid's athletic endeavors as investments with a future payoff. Parents with this view will be a constant thorn in the side of their kid's coaches to make sure their kids get extra playing time, prime positions, better training, etc. These parents will also ride refs and umpires who "unfairly" treat their kids. And they will even argue with other parents if their kids do not help the angry parent's prodigy succeed by passing them the ball, setting a pick, etc. 2) An entertainment expense for you kid and your family. 3) A gift that a) builds confidence, b) teaches the value of teamwork and leadership, and c) keeps your kid physically and mentally fit. The chances of getting a college scholarship are extremely low, especially a full ride. The chances of playing professional sports are even more remote. So, I, for one, am not banking on it. I do not expect a future financial windfall from the athletic careers of my kids. I spend a considerable amount of time and money on youth sport for two reasons. 1) I am giving my kids a gift that will keep giving. Participation in sports teaches so many valuable life lessons. Lessons that will benefit them in academics and in their professional careers. 2) I also view youth sports as pure entertainment for my kids, for me, for my entire extended family. There is nothing that I would rather do for entertainment than watch my kids play sports. If my kids get college scholarships and / or play professional sports, that would be a wonderful surprise and bonus. 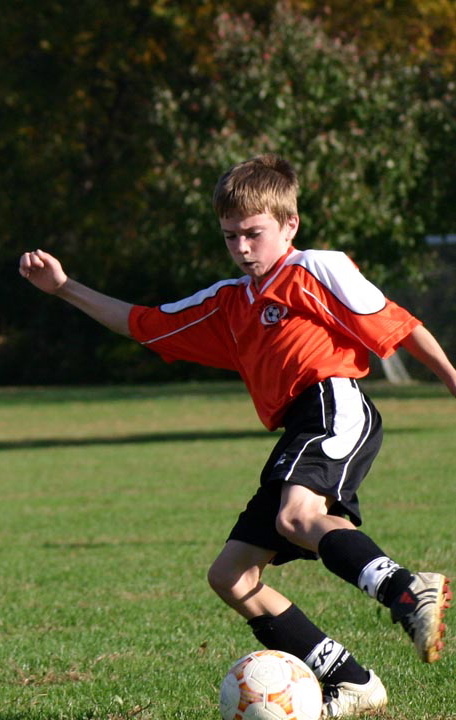 Youth Soccer: What does it take to play D1 college soccer? What does it take to play D1 college soccer? Skills - absolutely, D1 college players are among the best of the best. Speed - yes, soccer is a super fast game especially at the D1 level. Determination - yes, you've got to want it because there are plenty of players who will try to take it from you. Perseverance - yes, every career has ups and downs. Only the strong-minded survive. Toughness - yes you need both mental and physical toughness. Heart - yes, the desire to play has to run deep. A chance - yes, you need to get noticed. Size - no, not necessarily, but toughness is a must. Playing time in HS - no, apparently not. Some kids are late bloomers. Success at college showcase club tournaments - no, apparently not. This story proves that all of the above is correct. I was the head soccer coach for my older son's team when he was U10 to U13. The team I coached was the B team in a competitive select / travel soccer club. The A team was dominant. Every year, we would have a tryout and the A team coach would take the top 15 players. I took whoever was left. The club was strong so, we had a few strong players on the B team. We also had kids with potential. Some of the kids had skills but no real burning desire. Some of the kids had loads of desire, but limited skills. Some kids were confident in their abilities and others lacked confidence. It was the job of the coaching staff to inspire and teach each kid and help them advance in the sport. The coaching staff consisted of 1) a former Brazilian soccer pro who worked with the team on technical skills, 2) a former college coach who worked with the team on the tactical aspects of the game, 3) an affable, assistant coach with a passion for the sport and 4) me, a D licensed coach. I think that we did a fairly good job. A few of our kids were promoted to the A team and eventually played significant roles on their HS teams. I always felt a sense of pride when the players from our team were highlighted in a HS soccer game recap in the local newspaper. 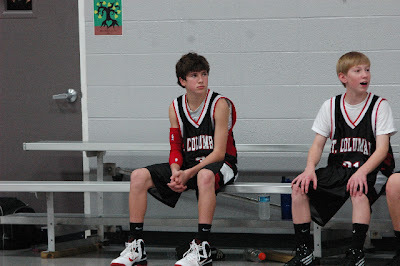 One of my favorite players from our team was a great kid named Brian, the assistant coach's son. 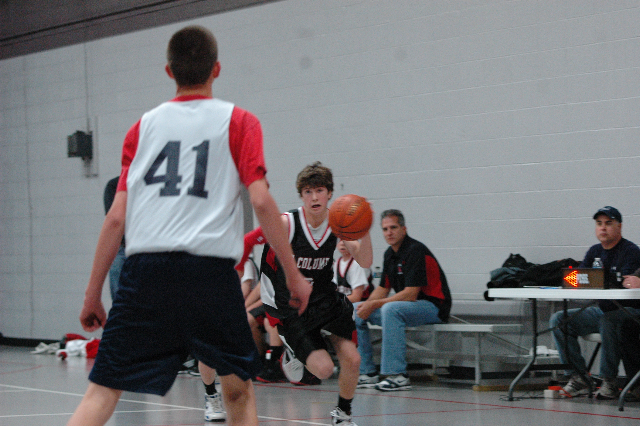 Brian was a skilled player who could play defense or offense. 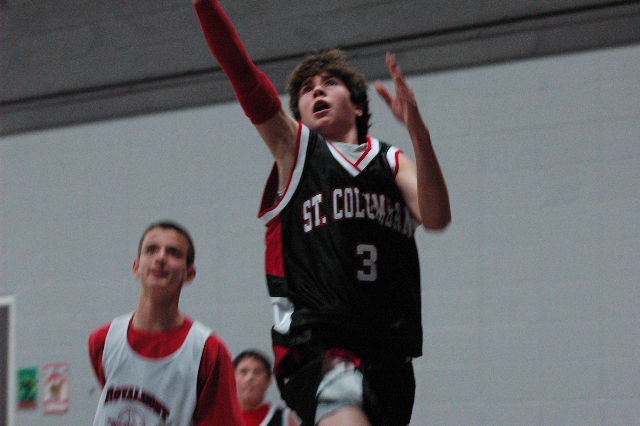 He was small, but what he lacked in size he more than made up for in hustle, heart and determination. Brian's endurance and fearlessness were strengths of his game. He never seemed to tire and he never backed down from bigger players. Regardless, I never saw Brian's name in any HS sports newspaper stories. According to his dad, Brian made his high school team but did not play much. Brian did not let that deter him. Strategies for success are passed on from generation to generation. On Saturday, my father was inducted into the athletic hall of fame for his college. He was recognized for his achievements on the basketball court, where he averaged an amazing 19.8 rebounds per game. That is a school record that has lasted 50 years. The next player closest to this record averaged 13.1. On his birthday in 1961, my dad recorded 30 rebounds in a game which set a school record. About a month later he broke his own record when he amassed 31 rebounds in a game. That records still stands too. He averaged 12 points per game. The ceremony was this past weekend in New Jersey. I had originally planned to fly out from Cincinnati alone because of the expense and because my two kids had games scheduled. My son and my daughter, however, insisted on going, so off we went. I am so glad that they talked me into it because I think that they learned something from the experience. Each of the inductees told stories about their success. And each story seemed to have a common theme, a parent and / or a coach who inspired to them to push beyond what they originally thought they could achieve. My kids heard three lessons on success. My dad talked about a conversation he had with an assistant basketball coach early in his collegiate basketball career. It went something like this. Coach: How many rebounds did you have today? My dad: Ten, I guess. Coach: You did that pretty effortlessly, wouldn't you say? My dad: Yeah I guess so. Coach: How many rebounds do you think you could get if you really worked hard at it? My dad: I don't know. Coach: I think that you can average 20 per game. My dad took that to heart. He went home and wrote 20 in lipstick on the bathroom mirror in the house he shared with his wife. He looked at that number every morning and every night. 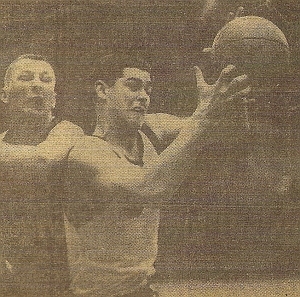 During his senior year he averaged about 20 rebounds per game. 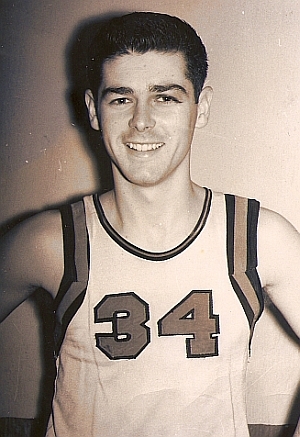 The second inductee was also a basketball player. He talked about a typical conversation he would have after with his dad every game day. My son Nic is a pretty good basketball player and a great actor. Last night, he accumulated 7 points in the first quarter of play. 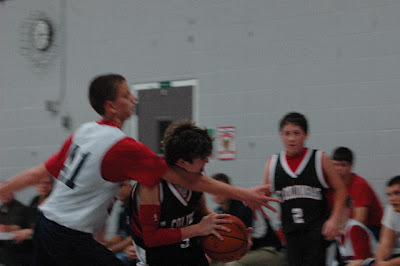 Early in the second quarter, my son took on a defender and took a shot to the jaw. He played up the injury to try to get a flagrant foul called. The ref was right there, saw the tough play and called a foul immediately. After he called the foul, the ref sent a player to the bench. Much to my son's surprise, the player the ref sent to the bench for the remainder of the game was him. The ref feared that my son suffered a concussion. Players, if you do suffered a head injury and you feel disoriented get checked. Concussions are a serious matter. Players, if you play up a head injury to draw a foul or impress the fans, the ref or your coach may pull you off the field or court until a doctor clears you. There's a no tolerance policy concerning concussions. My son did not have a concussion. I think my son learned a valuable lesson during this game. Last week, my son's baseball career flashed before his eyes after an awkward swing during an indoor winter practice had him clutching his elbow. The elbow swelled immediately and turned purple. As we drove home from practice, my son iced his arm. I could see the worry in his eyes as he stared straight ahead without saying much. I felt so sorry for him. Baseball is his love. In fact, he recently started some grueling work outs with a personal trainer to increase arm strength. He also started working with a baseball trainer to improve his throwing mechanics. Ironically, he was doing all of this to avoid arm injuries. He has had arm injuries before. At age 10, he broke the growth plate in his elbow while he was pitching. That healed fairly quickly, but while the elbow was healing, his shoulder became weak. The shoulder weakness led to shoulder pain. He battled arm discomfort off and on. Last year, he was injury free and he was really looking forward to a breakout year in 2012. We had to wait to call for an appointment with an orthopedic because his latest injury happened on a Sunday. The ice and Advil seemed to eliminate the swelling and discoloration. The pain was minimal. Still, we made an appointment to see the doctor. The doctor suggested an MRI and it took a week to schedule the MRI. During that long week, my son wondered if he would be playing baseball in the spring or recovering from surgery. Fortunately, the MRI came back negative. There was no bone or ligament damage. The swelling and discoloration was the result of a minor bursae sac issue. I was thrilled for my son and, quite frankly and selfishly, for myself. I love to watch him play and get a sense of pride from his accomplishments. 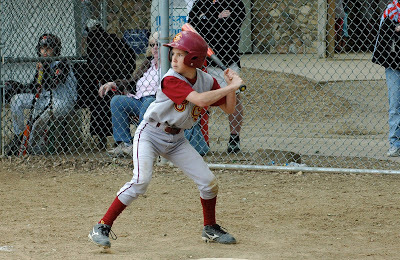 My son's baseball career was back on track and he was back in the gym the day after the results came back. All dads know how unlikely it is that their son will make the pros or even play in college. To make it, a player needs to be a very special talent, be seen by the right people at the right time and stay healthy. Every time I think about how unlikely it is that my son will advance in baseball, I also consider that every college and pro ballplayer has a dad who wondered the same thing. So there is a chance. The results of the MRI kept those slim chances alive.